Welcome to our Gift Shop. 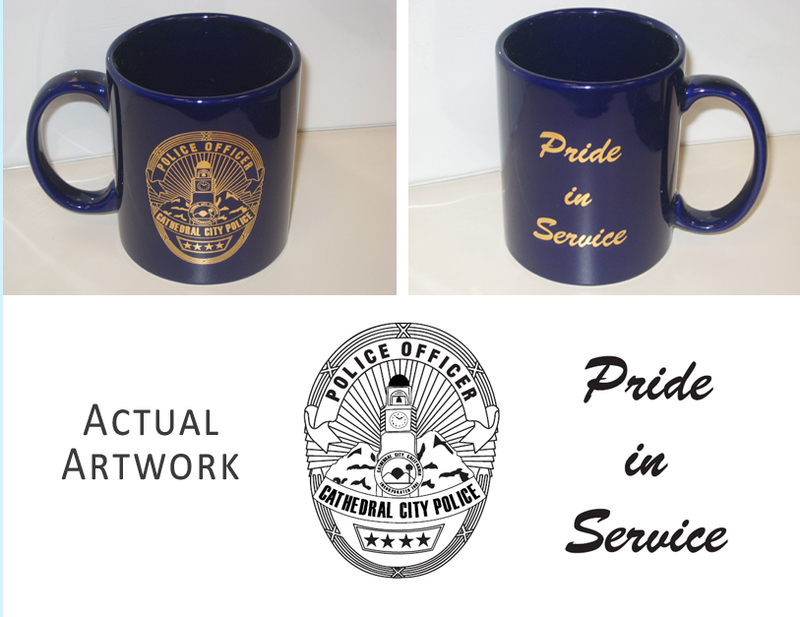 Currently all merchandise is available at the front counter in the Records Department of the Police Department. Check back in the near future for online purchases. 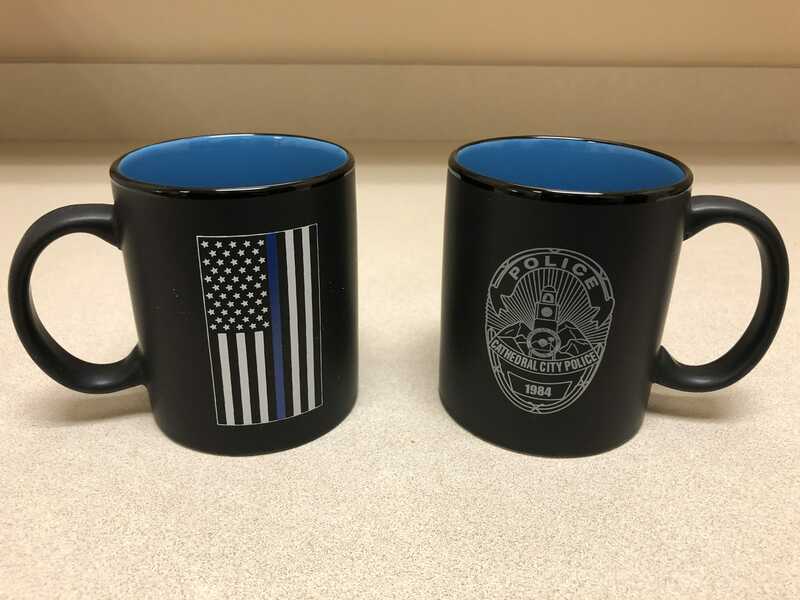 Navy blue ceramic coffee mug with "Thin Blue Line" Flag graphic . 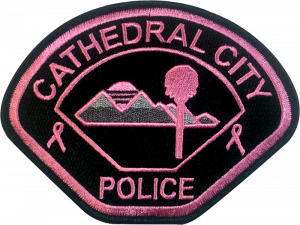 CCPD police shield on reverse. 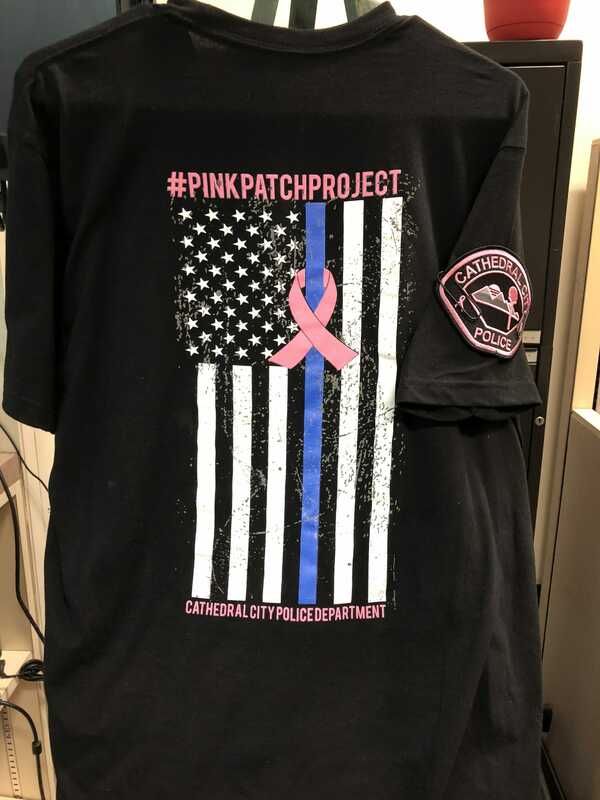 Short sleeve t-shirt with Pink Patch Project logo on back. Unisex. 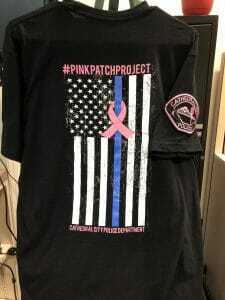 Available in Black only and in sizes: S thru XXL. 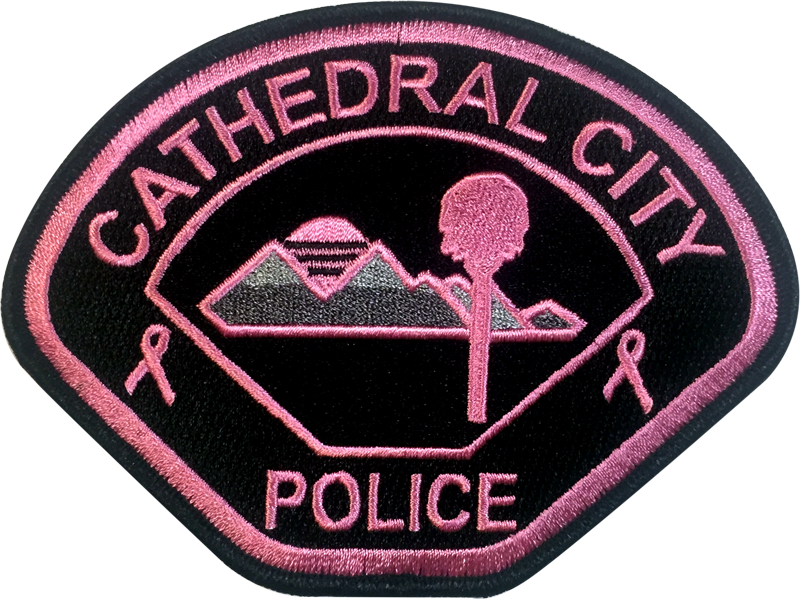 May be ironed on or sewn. 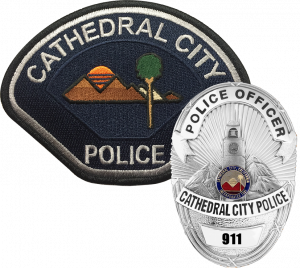 Front of coin depicts the Cathedral City Police Department badge over an American Flag background. Back of coin depicts the Pink Patch Project logo. 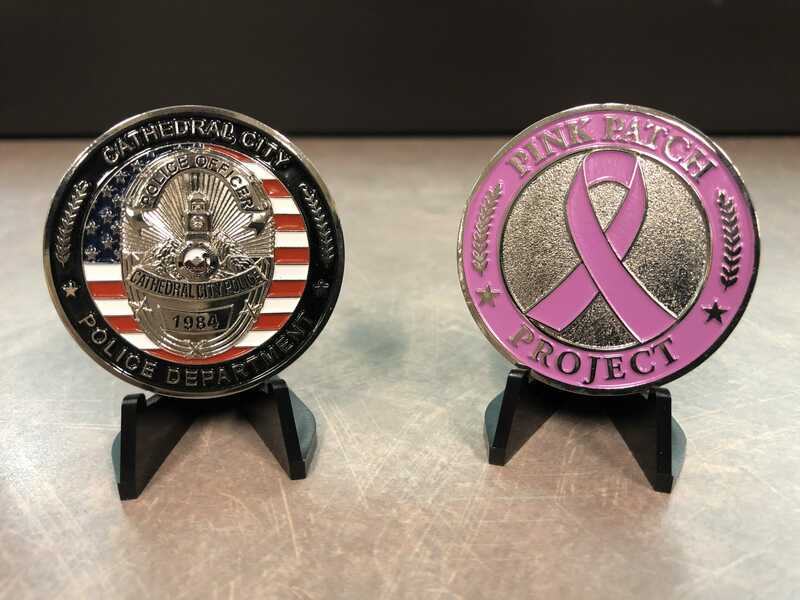 Coins are 1½" in diameter. 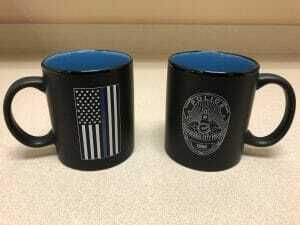 Navy blue ceramic coffee mug with gold image of actual CCPD police shield. 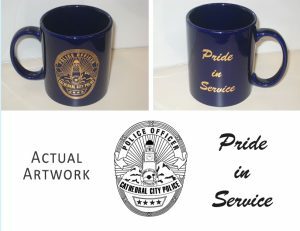 Motto, "Pride in Service" on reverse. 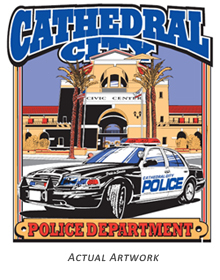 Short sleeve t-shirt with logo on front and image of police department and cruiser on back. Unisex. Available in three colors: White, Black and Gray and in sizes: S thru XXL.